Comes pre-installed with hanging holes! This bag can be used for so many different products, making this type of bag very versatile. This bag has been used for jerky, tea, spices, nuts, and for creating samples. 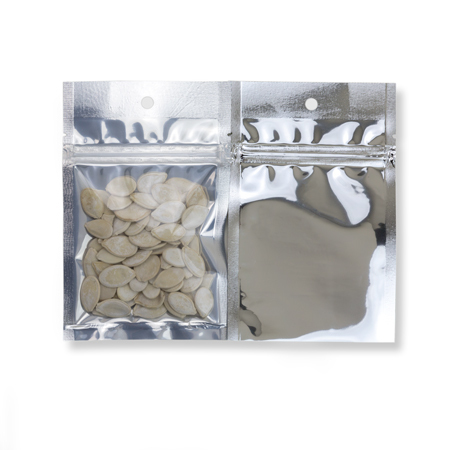 The bag will be a customer favorite with it's easy to reseal zipper, ensuring your products freshness even longer! It can hold about 1-2 oz of product depending on the density of your product. Request one sample below by adding one piece to your shopping cart, this way you can test it with your product!